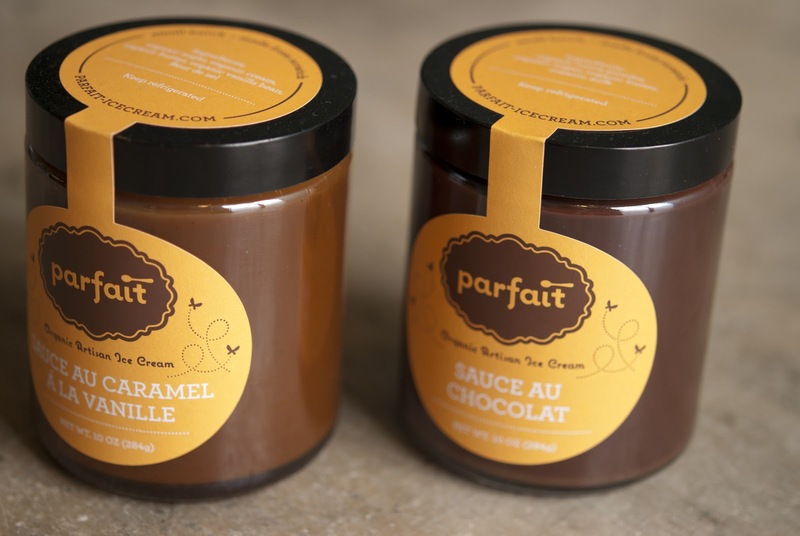 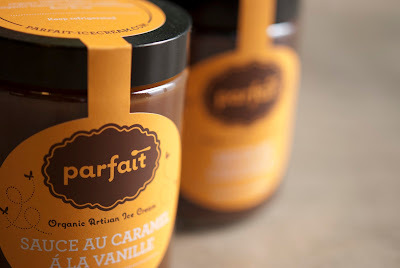 Graphiti Associates worked to develop a cost-effective label that still reflected the high quality, hand made nature of the Parfait product and brand. When designing a label for a truly 100% organic artisan ice cream maker, you can't help but want it to reflect the quality of the product. We not only wanted everyone to know that Parfait makes everything completely from scratch but also that their jar had been hand sealed by the owner, Adria Shimada, herself. 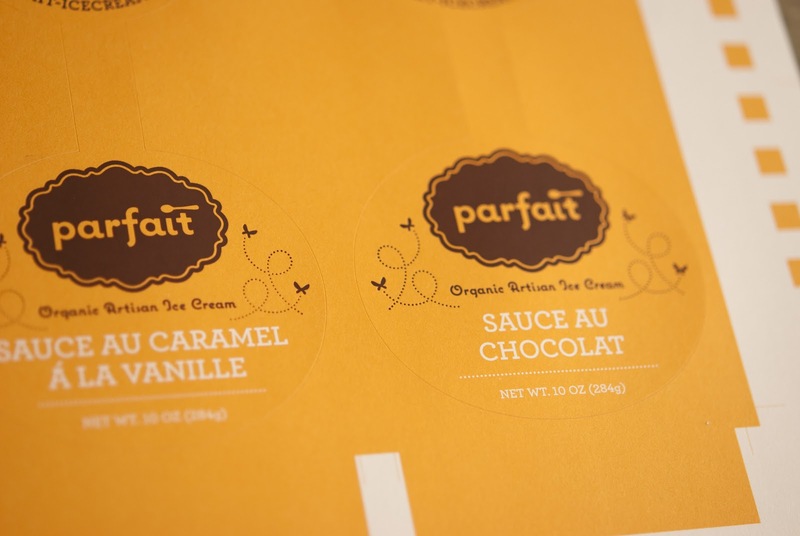 In order to convey this to the customer, we incorporated an elegantly custom die-cut label that when applied creates a physical seal between the lid and the jar. 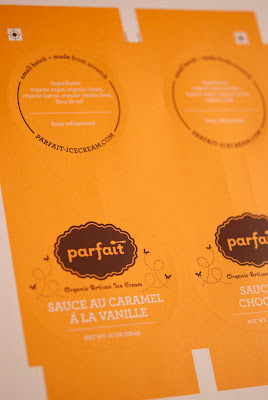 Production at Evolution was achieved by printing a flood of orange with type reversed on stick and peel label stock followed up with a pass of brown foil for the bold graphics that are modern and simple with a final kiss-cut pass to create the unique label. If you haven’t already, be sure to check out Parfait’s Organic Artisan Ice Cream, served fresh from her truck throughout the summer months. 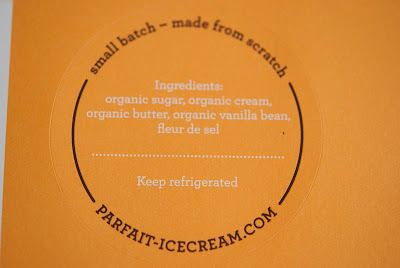 Or, if you're like us, ice cream isn't just for summer - so check out her home delivery service offered now!